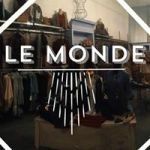 Le Monde Emporium offers an extensive selection of women’s clothing, shoes, and accessories. The staff believes in helping women look their best and boosting their confidence through beautiful and affordable clothes. No matter what you’re looking for, Le Monde Emporium will help you bring your fashion vision to life.